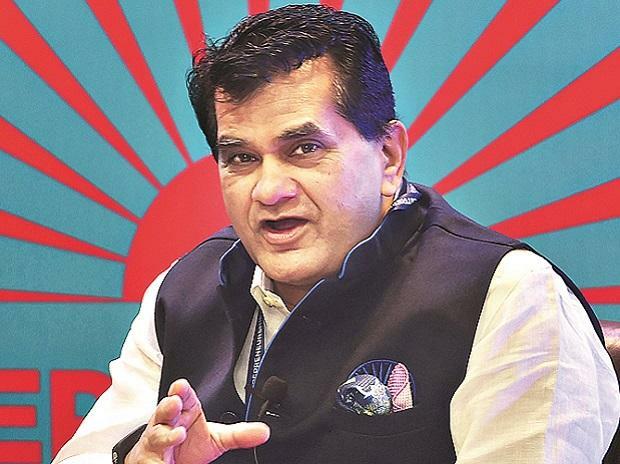 India cannot achieve 9-10 per cent GDP growth without a revolution in the farm sector, Niti Aayog CEO Amitabh Kant said Monday. Addressing Mahindra Samriddhi Agri awards, he said there is a need to boost investment in the agriculture sector as well as to introduce new technology and market reforms. Kant also stressed on scrapping Agriculture Produce Marketing Committee and some old laws like the Essential Commodities Act, which restrict movement of farm produces. However, he said agriculture is a state subject and the central government has a limited role in it. "In India 50 per cent of our population is dependent on agriculture. If India's GDP has to grow at 9-10 per cent for the next 30 years, then it cannot be without bringing revolution in the agri sector," Kant said. He also emphasised on eliminating middlemen in the marketing of farm produces to boost farmers' income. Kant expressed confidence that farmer income will be doubled by 2022. He said there is a need to spread good agriculture practice and success stories of farmers across the country. "The second revolution in agriculture will come from technology and marketing," Kant said. Pawan Goenka, Managing Director, Mahindra & Mahindra Ltd,, said: "The contribution made by our farming community is a manifestation of this new age of farming which we celebrate through our annual awards". As part of Mahindra Agri Village (MAV) programme, he said the company has worked closely with more than 50 villages. "Our Prerna initiative has empowered nearly 2,000 women farmers over 40 villages, through the introduction of gender-neutral farm tools for reducing farm drudgery, and dissemination of knowledge and essential capabilities," Goenka said. Mahindra Samriddhi Krishi Shiromani Samman (Lifetime Achievement Award) 2019 was conferred upon E A Siddiq for his immense contribution to Indian agriculture. The award was handed over to recognise his contribution of enhancing the productivity of paddy (Both Basmati & Non-Basmati). The group gave awards in a total of 11 categories.